Just do it, the results will be beatuiful! This post is about having a no excuses approach to doing what you love. Following your PASSION. Listening to your INNER VOICE. Each and everyday. Some people are great at this while others aren’t as disciplined or have other factors holding them back. I know I have a relentless ‘go big or go home’ mentality so something its hard for me to take just a little step…I want to leap! This is not the case for my new art friend, Andrew. Andrew the Artist, as I call him. His artist tag is SAME. In fact, I don’t even know his full name, but what does it matter really? What I do know, is that he’s very passionate and dedicated to his craft, and he makes the time to go big. And, I admire that. 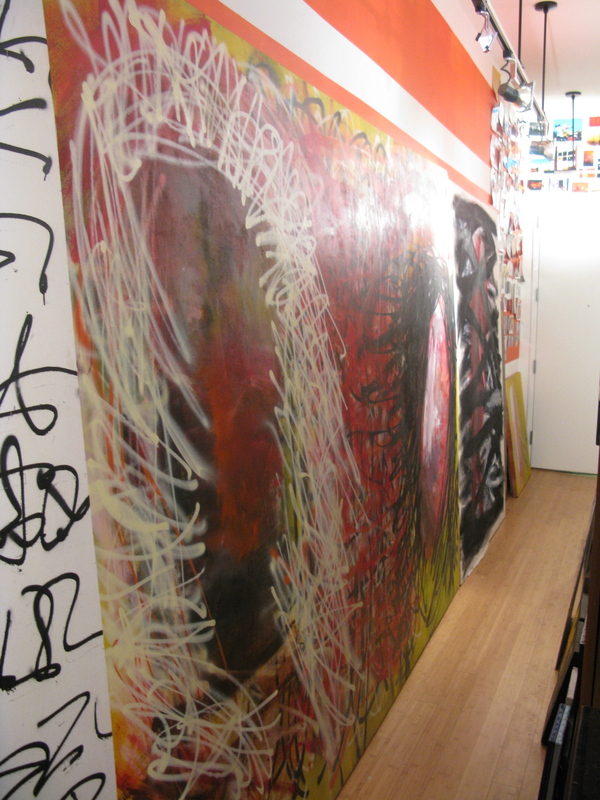 After I practically interrogated him about his art on the second occasion we met, he invited me to come check out his art-ASTIC apartment. And, below are some of the photos I captured after a number of cocktails last Friday. Andrew has only been painting for the past few years, it’s a hobby he picked up and it really took off. Clearly, he is prolific….his entire apartment is almost covered! He likes to use found or cheap materials, like ply wood, old doors, and leaves from his banana tree. 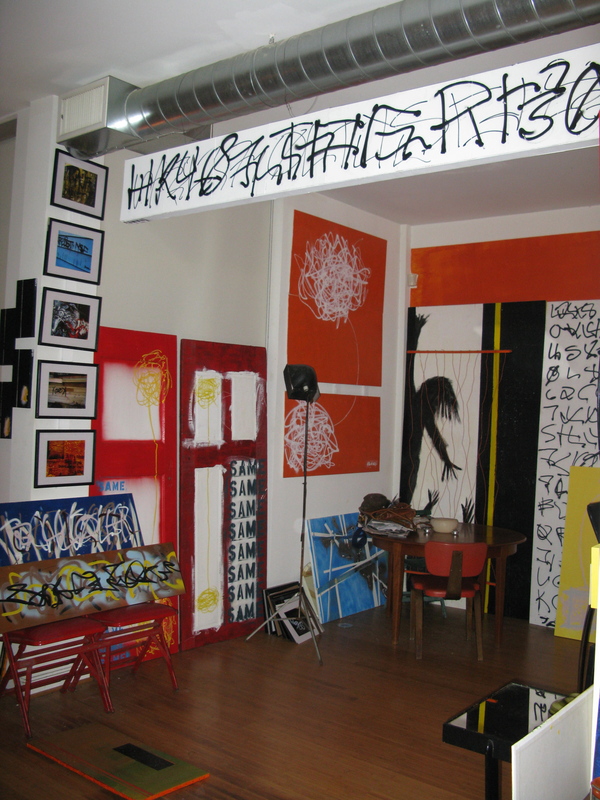 As for medium, he uses a variety of acrylic and spray paint. Lots of spray paint. I love his use of colors, patterns, and all the experimentation. 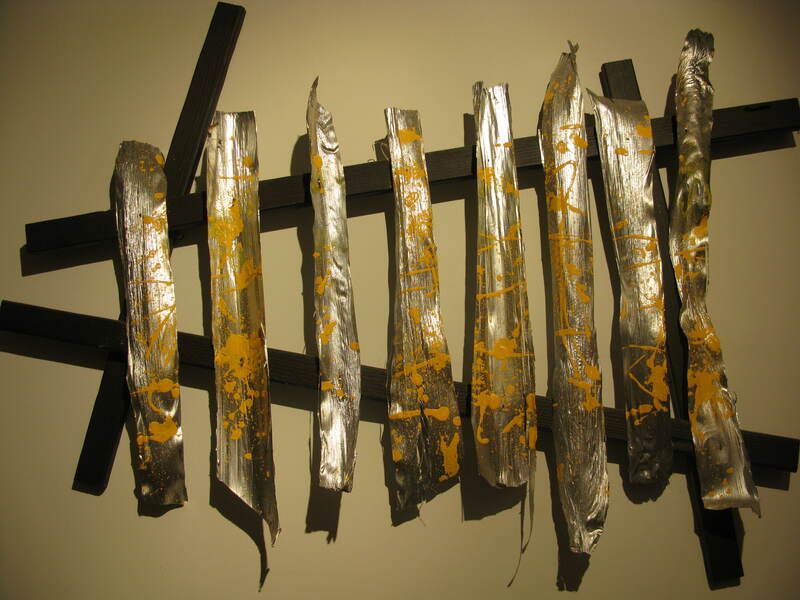 My favorite pieces are the (#1) the banana leaves sculpture, (#5) the red double doors with poppies, (#6) the series of abstract, pastel paintings. Andrew is selling his pieces, so if you want the details on how to contact him, let me know! Andrew is a lesson to any artist who has trouble getting started. Enough with the excuses…I am too busy, materials are to expensive, yadda yadda. Get over yourself and JUST DO IT. The results will be beautiful. On Wednesday, I watched the documentary Jean-Michel Basquiat: The Radiant Child and I was truly moved. By learning Basquiat’s story I gained a full appreciation for his talents and artwork. He was the most influential, self-taught artist of his generation. His work was more intellectual than first meets the eye, and incorporates words that are intentionally jumbled. 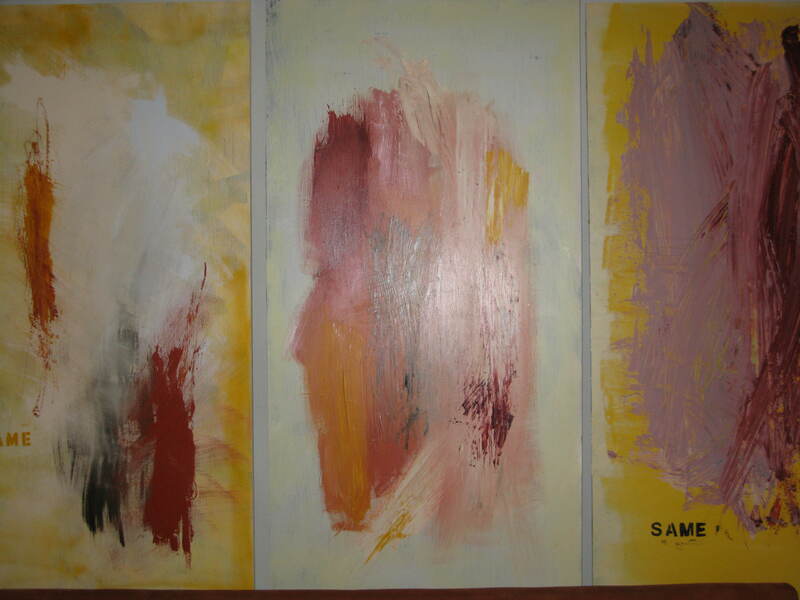 The style is meant to be child-like and Basquiat would hold the brush in a way that would make the forms appear this way. 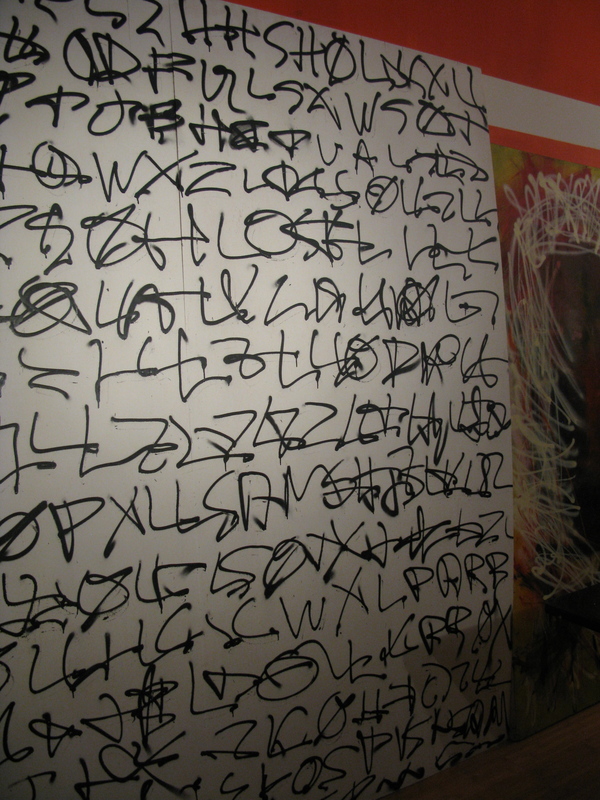 He was inspired by his memories and experiences through out his life, and used the canvas as a means to tell it. 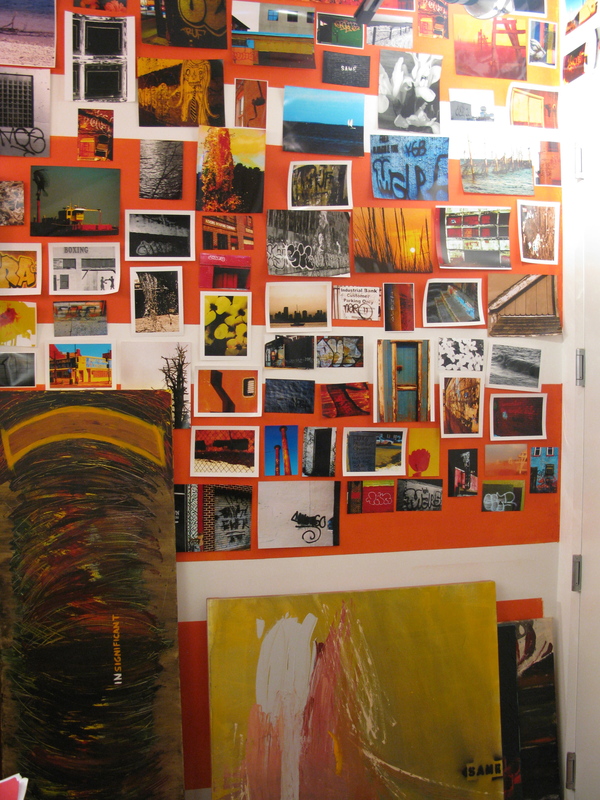 His painting process was very individualist (he would lock himself up for days) and consisted of continuous layering. 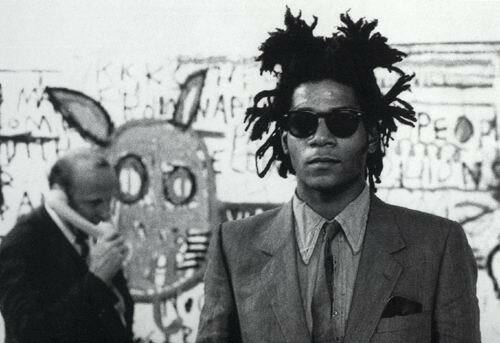 Not only do I appreciate Basquiat’s work but also his unconventional and free-spirited approach to life. Basquiat’s fast-tracked journey was unreal. 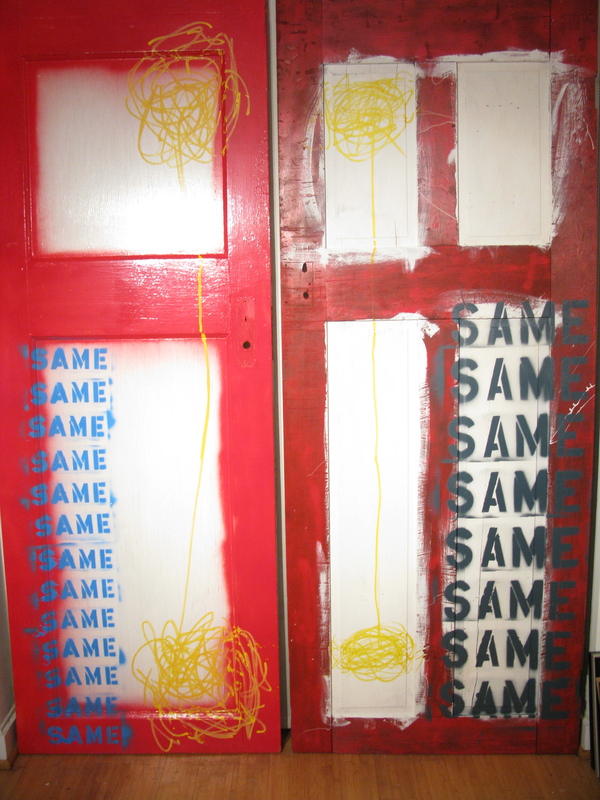 He left home at 17 and was living on the New York City streets, making a name for himself as a street artist known as Samo. He gained popularity from his Samo tags and brief music stints, and then moved into fine art by a recommendation from a friend. 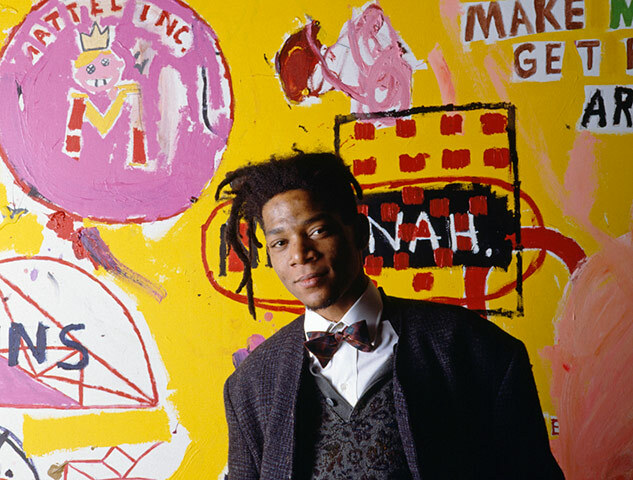 Basquiat’s career immediately took off, and a few years later in his early 20s he was the hottest thing to hit the art scene and quickly became very wealthy. As a raw talent, he was quite competitive and wanted to rub shoulders with the other big name artists of the time, namely Andy Warhol. He confidentially approached Warhol in a New York City cafe, and asked if he’d like to buy some of his postcards (Warhol bought 3). Almost instantly the two were best of friends and even did a joint art exhibition, which unfortunately was highly criticized. Things spiraled downward from there for Basquiat. He felt used by his friends for his fame and money, and he couldn’t take the media criticism about his work. Shortly thereafter he heard Andy Warhol unexpectedly died, and Basquiat was devastated and in bad shape. Basquiat died a year later in 1988 of a heroin overdose. Just as quickly as his story began, it ended — at age 27 — like so many young talents that are overcome by the pressures of fame. It’s interesting that I watched this film in the wake of Amy Winehouse’s sudden death. Despite their short life journeys, these great talents will be known forever for the artistic and musical gifts they have given the world. Basquiat’s work today is now compared to the likes of Pablo Picasso and other art legends — a great honor I am sure he never imagined. 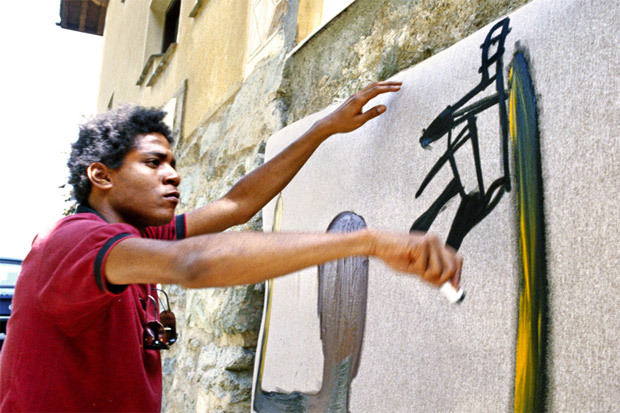 Below is an image of Basquiat in the process of creating his artwork. Many of his friends and fellow artists commented that watching him work was a fascinating experience. Basquiat at one of the galleries or museums where his work was being shown. I love the unique look he is rocking with the hair and sunglasses. Although at first it seemed to me he was the kind of individual who didn’t really care what others thought about him, he was actually really worried about being the “best” in his field. The competition consumed him. 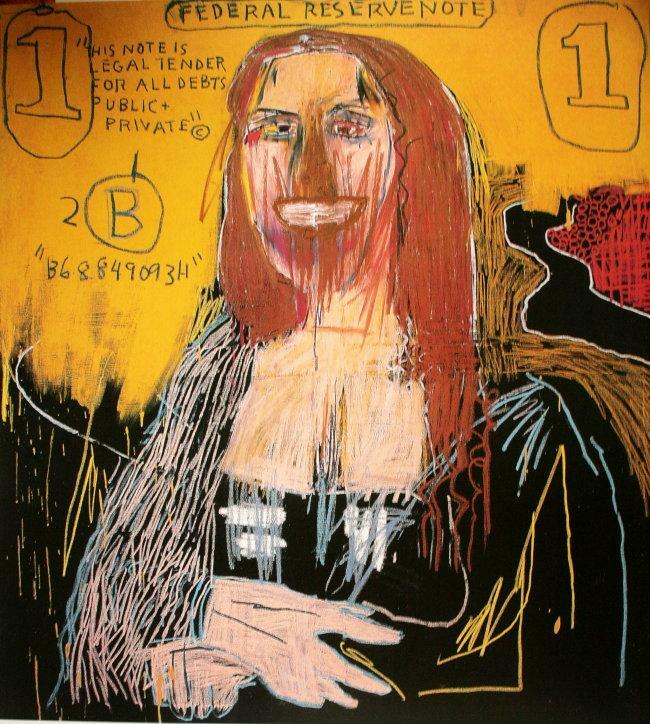 Basquiat was influenced and inspired by the great artists that preceded him. Here is an example of his interpretation of Leonardo Da Vinci’s famous Mona Lisa. I think it is a particularly inspired piece.